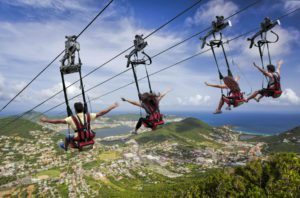 Rainforest Adventures has announced a November 2017 opening for the new St. Maarten Rockland Estate eco-park. The park will launch with two signature attractions, The Flying Dutchman — the world’s steepest zip line — and the Soualiga Sky Explorer chairlift, as well as the Emilio Wilson Museum and Emilio’s Restaurant. Additional attractions, including the Sentry Hill Zip Line and the Schooner Ride will open in early 2018. In partnership with the St. Maarten delegation, representatives of Rockland Estate will be attending the 24th Annual FCCA Cruise Conference & Trade Show in Merida, Mexico, October 23 – October 27, 2017. They will be at booth B2 and welcome an opportunity to answer questions about, or introduce participants to, what is sure to be the eastern Caribbean’s must-do attraction. According to Port St. Maarten’s management the eco-park will be a major new attraction and they are proud of the progress the team has made to open the park. They stress how important it is to have stakeholders like Rainforest Adventures and others to be present with them at the FCCA Conference to promote the destination and strongly emphasize the message that St. Maarten is back and open. Princess Juliana International Airport has opened to commercial flights and Port St. Maarten is ready to welcome its first commercial cruise vessel on November 5th. Restaurant and attraction businesses are reopening daily and are ready to receive guests. · The Soualiga Sky Explorer, a four-passenger chairlift, transports guests to the Upper Deck. These decks encircle the mountaintop, one of St. Maarten’s highest points at 1,115 feet, where they will be immersed in spectacular 360-degree views of St. Maarten and its neighboring islands. · The Flying Dutchman, the world’s steepest zipline, where guests will experience the thrill of a lifetime as they launch down Sentry Hill on a flight line at 56 mph dropping 1050 feet in elevation over 2630 feet. · Each adventure begins in the Emilio Wilson Museum housed in a restored plantation house originally built in the 1700s. Guests will see depictions of what life was like on a plantation and learn about the customs, traditions, lifestyle, and stories that earned Sint Maarten the nickname ‘The Friendly Island’. 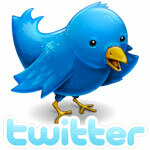 · Emilio’s Restaurant, St. Maarten’s newest restaurant and entertainment hot spot. Each year over 400,000 visitors experience Rainforest Adventures eco-parks located in Costa Rica, St. Lucia, Panama, Jamaica and Sint Maarten. In addition to more than 22 years of experience, in construction and operations of eco-parks, Rainforest Adventures owns and conserves 2,700 acres of rainforest, home to more than 1,000 species of birds and 2,000 kinds of exotic plants. With over 450 employees, it also offers sustainability programs for visitors and local schoolchildren designed for the protection and conservation of the rainforest.